PSF Spain performed in order to support Divided Schools and other populations affected by ethnical segregation. In July 2016, Clowns Without Borders Spain visited divided schools in Bosnia and schools affected by ethnical problems in Srpska. In October 2015, Clowns Without Borders Spain went to Bosnia and performed 7 shows for 290 people. 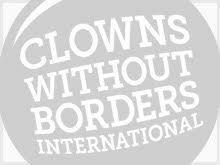 In March 2015, Clowns Without Borders Spain went to Bosnia and performed 17 shows for 1016 people. In 2013, Clowns Without Borders Spain went to Bosnia to perform 23 shows for divided schools in Herzegovina, and for refugees, gipsy communities, mixed schools in Srpska. In total they met 1624 people. In 2012, Clowns Without Borders Spain went to Bosnia to attend people at risk of social exclusion, disabled people, war orphans and widows, and segregated ethnic minorities. They performed 5 shows for 945 people. 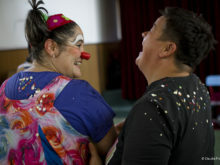 In 2008, Clowns Without Borders Spain returned to Bosnia to continue bringing joy to the children and people who still lives in refugee conditions in Bosnia. They performed 19 shows for 3200 people in total. In 2007, Clowns Without Borders Spain returned to Bosnia and partnered with Trup de Nassos. They toured around Bosnia and performed 16 shows for 10,400 people. In 2006, Clowns Without Borders Spain returned to Bosnia in partnership in the Bosnian NGO Trup de Nassos and performed 14 shows for 2645 people.